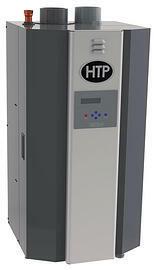 HTP's boilers have ultra high efficiency, providing greater potential for energy savings. Below is an article from Industrial Boilers on three good reasons to switch to a condensing boiler. A condensing boiler is a unique kind of boiler that uses a different process to heat the water that creates the steam. A condensing boiler works similarly to an air conditioner, which reuses the condensation from the steam to create more heat, which creates further steam in the boiler. 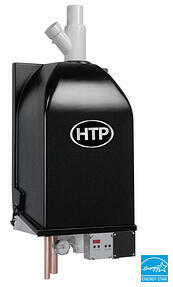 This form of boiler is more efficient than other, traditional styles of boilers. There are a variety of reasons why a factory would benefit from using a condensing boiler. Firstly, because of their unique heating process, condensing boilers are more efficient than other types of boilers. This leads to a variety of benefits for the factory, including reduced energy use, lower energy bills, and a reduction in the factory’s carbon footprint. Secondly, the boiler releases less carbon emissions into the air. This is a huge benefit for a factory looking to cut down on their emissions overall to meet new environmental guidelines or just to reduce their impact on the surrounding environment. Some governments may also offer discounts and tax breaks to companies that introduce greener products into their factories. Condensing boilers meet the profile and can help any company become more environmentally friendly. 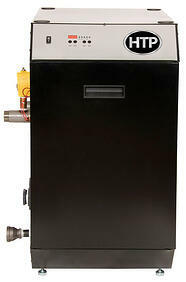 Condensing boilers are also easier to maintain than traditional boilers. The design of the boilers also make them less likely to have problems like leaks, explosions, or sudden pressure changes. The condensing system also helps prevent an overabundance of water consumption, which is also beneficial to the factory’s pocketbook and any nearby water source.